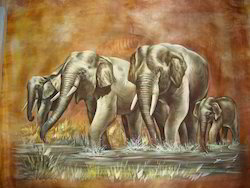 Pioneers in the industry, we offer elephants painting, elephant painting, birds painting, landscape paintings, birds paintings and lion paintings from India. Working of art galleries in India and abroad. With the help of our experienced professionals, we have been able to offer our respected clients a wide assortment of Fine Silk Elephant Painting. This painting is highly appreciated by the clients for their beautiful designs and unique craftsmanship. Offered painting is inspected by quality controllers before providing to the customers in order to assure its quality. Also, this painting is available in several sizes, colors and designs in order to fulfill the varied needs of our prestigious clients. 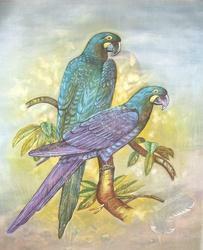 We are engaged in offering high quality range of Fine Silk Birds Painting. Offered painting is designed by our experts by making use of excellent quality material & leading techniques as per the trends of market. Moreover, offered painting is accessible on several designs & finishes in fulfillment with the needs of customers. Some of the salient features of our mats are comfort, colorfastness, attractive patterns, dazzling design and durability. 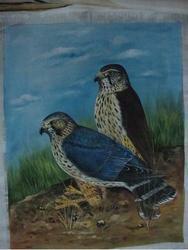 We are leading prepare of birds paintings. 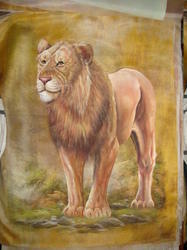 We are having wide range of silk paintings on ready basis as well on customization. 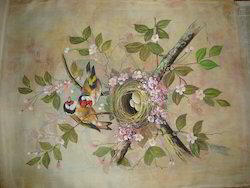 Among our wide range of products, we are introducing a premium quality assortment of Fine Silk Paintings. This painting is intricately weaved by our dexterous craftsmen. 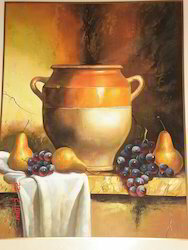 We offer this painting in diverse customized options according to the detailed information of customers. 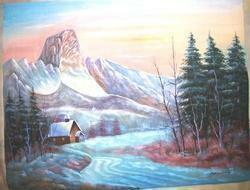 Moreover, our offered painting can be availed from us at reasonable price within a given time frame. 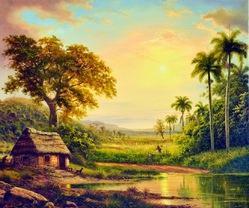 we have paintings for almost curtural paintings of India. 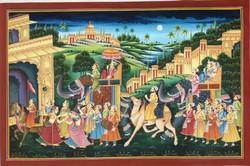 We provide wide rage of rajasthani village paintings. 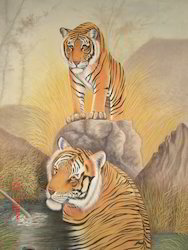 This is done on silk size is 18"x24"
Indian miniatures have always been prized for their striking designs and memorable images that capture India’s history, culture and natural beauty. 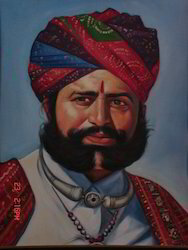 Now you can enjoy a fine piece of one of the worlds famous art forms in this beautiful handmade portrait painting of an Indian Rajasthani dilruba musician. 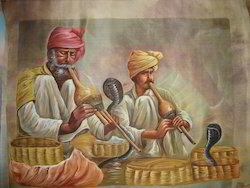 The dilruba is an Indian bowed stringed instrument. Meticulously painted for an unparalleled level of detail and mirror-like brilliance, this artwork will add a new dimension to your decor or art collection at a very attractive price. 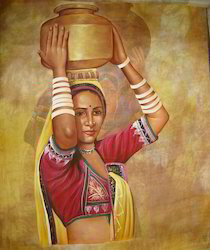 A rare piece of Rajasthani art for you, buy now! An interaction with an rajasthani musician is an unforgettable experience by itself, but getting the chance to play with him(a traditional practice in Jaipur) is a once-in-a-lifetime opportunity. You will love this colorful Rajasthani art which is a beautiful watercolor painting with all the splendor of a royal maharajah procession. The secular and sacred power of an Indian king was expressed most spectacularly in the grand public processions that celebrated royal events and religious festivities. Riding a richly caparisoned elephant or horse, the ruler was lavishly dressed and jeweled and surrounded by attendants bearing symbolic attributes of kingship: a royal parasol, chauri, dancing girls, fans and staffs of authority. The vision of a king in all his splendour was believed to be auspicious. It was central to the concept of darshan, the propitious act of seeing and being seen by a superior being, whether a god or a king. Although originally a Hindu notion, the idea of darshan became an integral aspect of kingship throughout the subcontinent. This large sized art is full of grandeur, color and vigor and will indeed be a brilliant piece of Rajasthani art for your decor or display. Buy it today and be part of the pomp and show of the past. Size: 28.5 in. wide X 19 in. tall (72.5 cms X 48 cms). 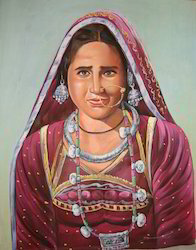 Dholamaru art Gallery has vast range of rural village painting, customization painting as per the size an need of customers. 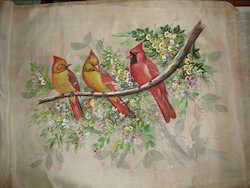 Looking for Fine Silk Paintings ?